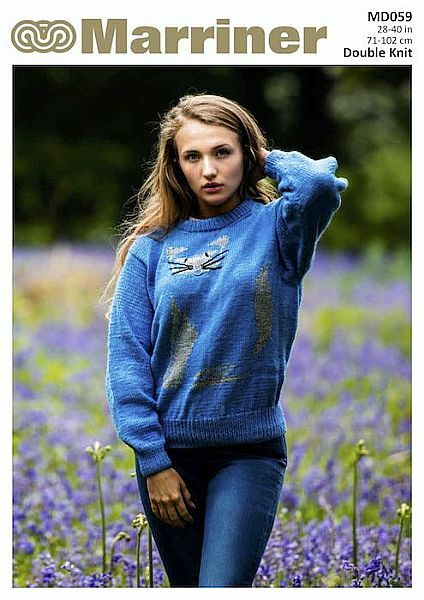 A cute jumper pattern with siamese cat detailing in double knit. 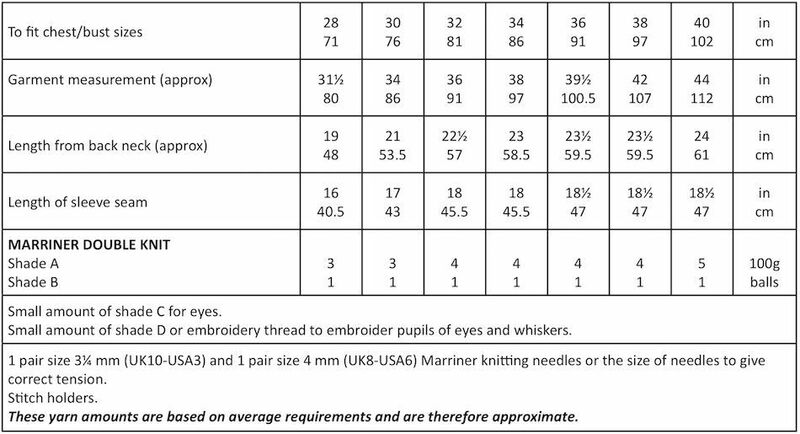 Hooks required 1 pair size 3¼ mm (UK10-USA3) and 1 pair size 4 mm (UK8-USA6) knitting needles. Stitch holders.